Going back to college (or heading there for the first time) can always be stressful. It's a bit of an arduous journey to make sure you're all set with everything you need for your classes, your dorm or apartment, and just college life in general. Thankfully, Pottery Barn is here with this new Harry Potter line from PBTeen to make the entire affair a bit more magical. Whether you're heading to a dorm or off-campus living, this new collection has a little something for everyone, so regardless of how many galleons you're willing to drop on Potterhead decor, there's something here for you. There are plenty of house-specific items, but there are also a lot of wonderful choices if you'd rather display your love for the Wizarding World as a whole. Of course, this isn't the first time that PBTeen has jumped into the land of Harry Potter home decor, but even if you've shopped this line before, they've added some amazing new stuff that you're definitely going to need. These new items really step things up a notch, and will definitely have you rushing to Gringotts to make a withdrawal. Not only do they have more home decor options along with some fun new pillows and bedding, but they've added a ton of stuff that allows you to bring Harry Potter magic into all areas of your life. You can add a gorgeous Harry Potter-style bed to your room to really make you feel like you're a student at Hogwarts, or you can just toss adorable Potter-themed beanbags into your space. 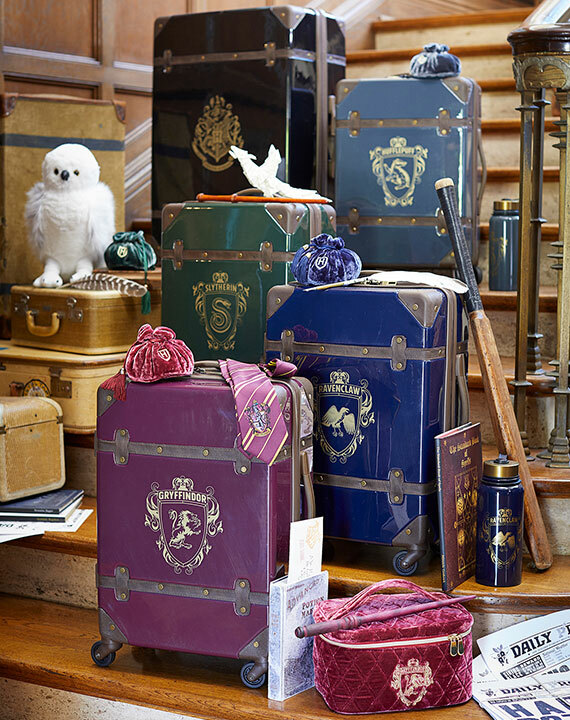 Of course, wizards have to be mobile, so you can also snag a bit of luggage that shows off your house pride while also making travel a breeze. And for those chilly wintery nights at Hogwarts, you can get cozy with adorable Harry Potter pajamas and house-themed robes. Of course, this is only a small taste of what this amazing line at PBTeen has to offer. If you want to check out everything for yourself, head over to the Pottery Barn website to look at all of the magical items for yourself. Happy shopping, witches and wizards! What are your favorite items from this line? Have you already ordered some of these items for yourself? Tell us which ones in the comments below!